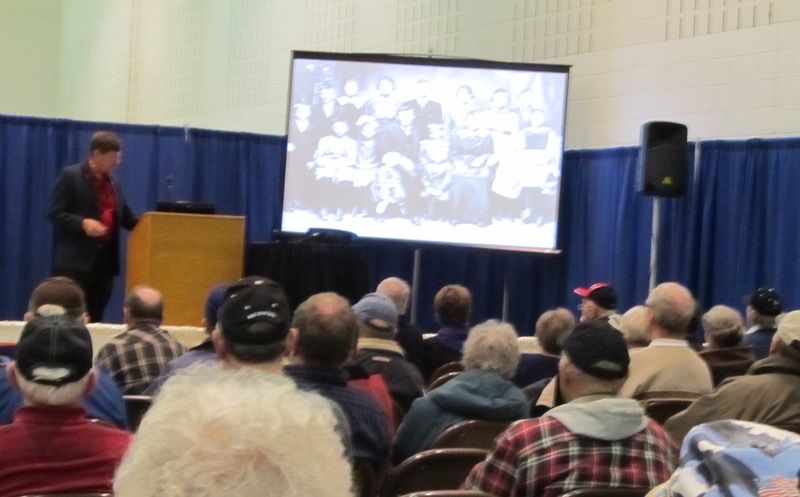 Ann and I had a unique opportunity to speak at the Midwest Farm Show at the La Crosse Center on Wednesday January 14. We gave a talk/PowerPoint about our book Seneca Seasons. My sister Diane, and her husband Owen Ducharme came up from Seneca. Had a nice talk with my aunt, Fern Scheckel, and her two daughters. A number of Seneca folks and Tomah people stopped by to chat. We sold and signed about 40 books. The annual Farm Show, one of 3 in Western Wisconsin, features many vendors, with tons of machinery, booths, products, and sessions. Anything associated with farming, ranching, and rural life can be found there, a real showcase for those making a living off the land. I particularly like looking over the huge new tractors and old antique tractors. St. Joseph Implement from up on the Highway 33 ridge always bring in the Case IH line of equipment. I was quoted a price of $500,000 for one tractor, but I declined, deciding to stick with my 15 year old 12.5 hp Murray lawn mower instead. The old tractors are a comfort to be around. There was a Minneapolis Moline, Farmall H, a couple of Allis Chalmers, and several John Deere. Gundersen Clinic offers several medical screenings. Food sales were brisk. I like the chicken sandwich. One company was giving away bottles of chocolate milk. 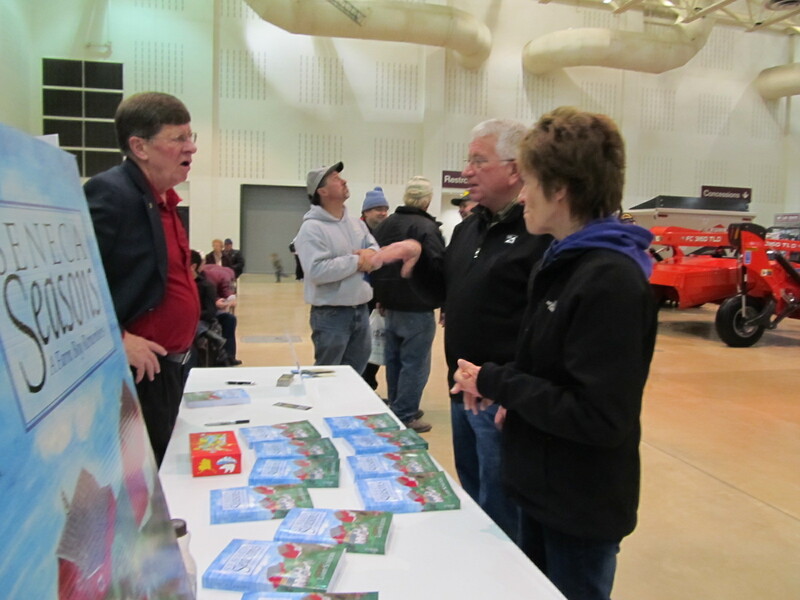 The Midwest Farm show is a two day event in La Crosse. 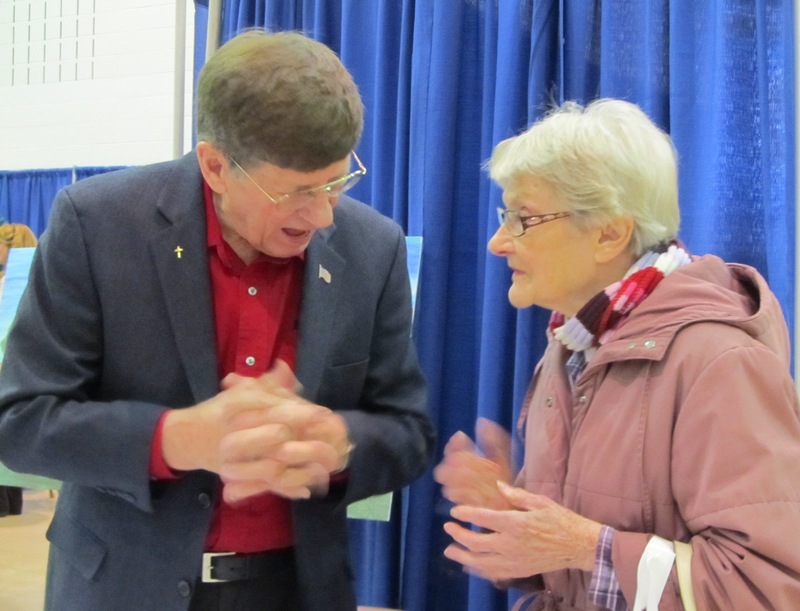 Ann and I will also be giving a presentation at the Farm Show in Eau Claire on March 4. We continue to give science shows, and will be at Stratford, Wi, north of Marshfield on Thursday Jan 15. 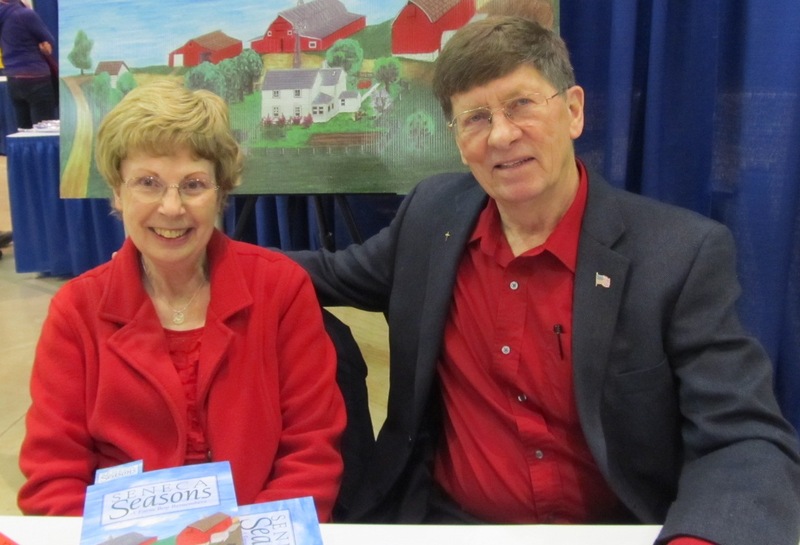 Book talks/signings at Viroqua on Tuesday Jan 20, and Gays Mills on Thursday Jan 22.